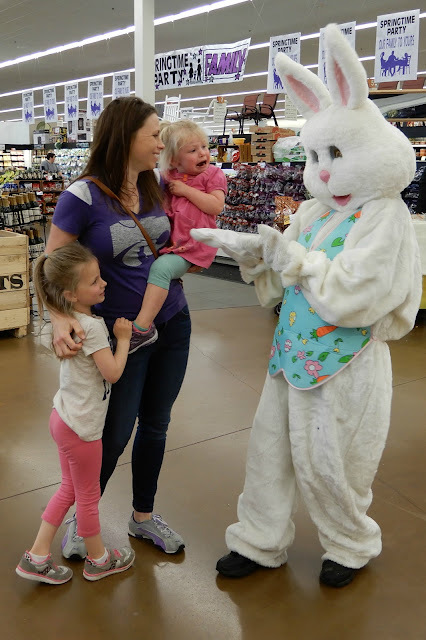 How to terrify a 2 year old in one easy step: Approach a large white bunny. Pay no attention to the friendly smile and spring-themed vest. Abject terror! Cling to Mommy with all your might. 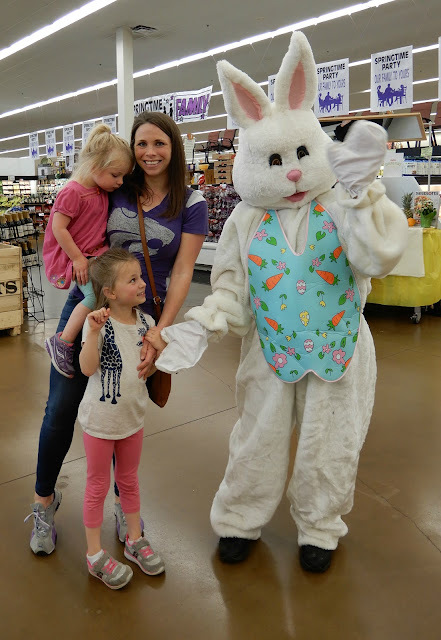 The Easter Bunny is tolerable when positioned on Mommy's hip away from said creature. The 5-year-old sister gets a little more brave ... just a little. Watch very carefully to make sure the Easter Bunny does not abscond with your sister or your Mommy. Kinley: "Do you think it's the real Easter bunny when it's wearing shoes?" Brooke: "Easter Bunny no talk to me!" 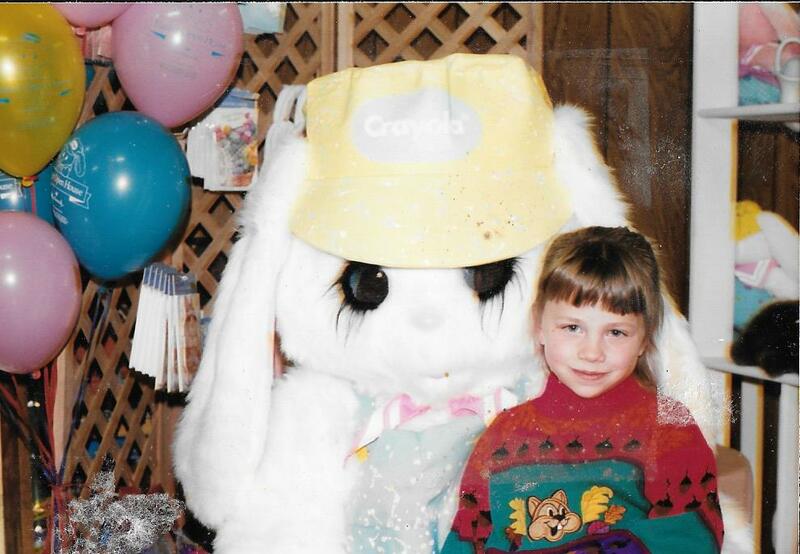 Me: "Did you like the Easter Bunny?" I happened to find a photo of Jill with the Easter bunny from 1991. She would have been between her 5th and 6th birthdays, just like Kinley today. 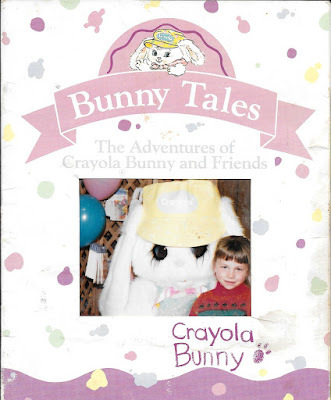 The photo was in a promotional book from Crayola that we must have gotten when the Easter Bunny visited Elroy's in Stafford. Do you think Kinley looks just a tad like Jill? The little kids who turned out to be Uncle Brent and Mommy seem more comfortable with the big old bunny than Kinley and Brooke. But who really needs the Easter bunny to bring eggs when you can make them yourself? We don't need a big old rabbit to get ready for Easter. 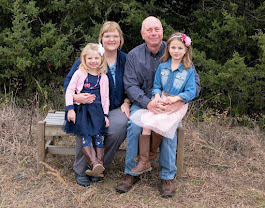 We just need Mommy and Grandma! 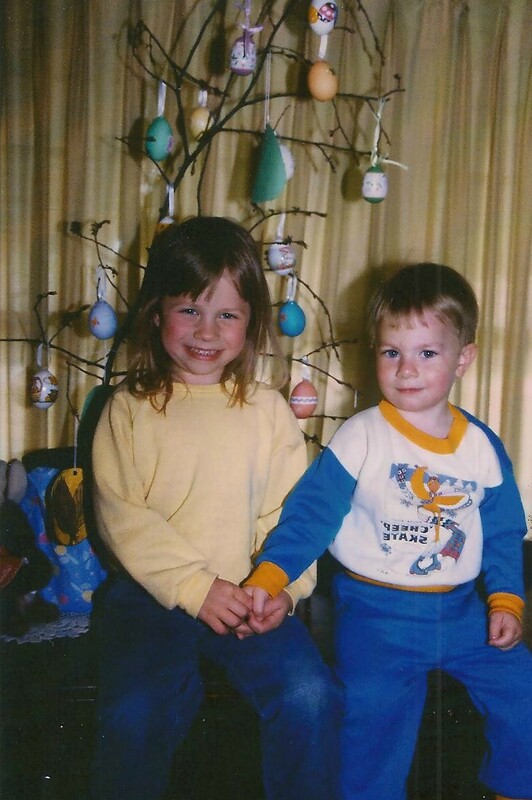 These plastic egg wrappers were some of my favorite egg-decorating accessories back when Jill & Brent were little. 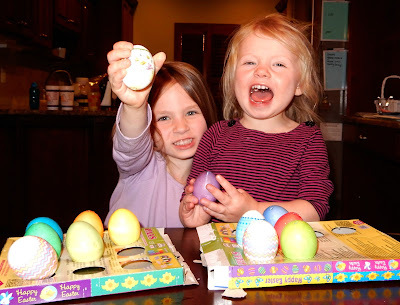 We always decorated eggs and added them to our Easter egg tree. The egg wrappers are snuggled around eggs, dipped in boiling water and are instantly beautiful. They worked back in the "olden days," too! Here are Jill & Brent with our Easter tree. However easy the plastic wrappers are, it's just not Easter without the smell of vinegar in the colored water and dye on little kids' clothing! "I do it!" was a common refrain. 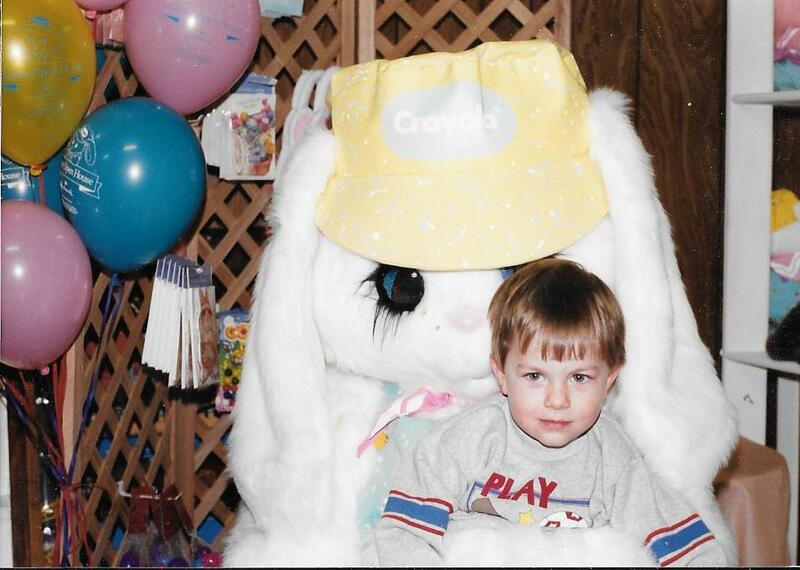 When Jill & Brent were little, we blew out of the innards of the eggs so they could be saved each year. 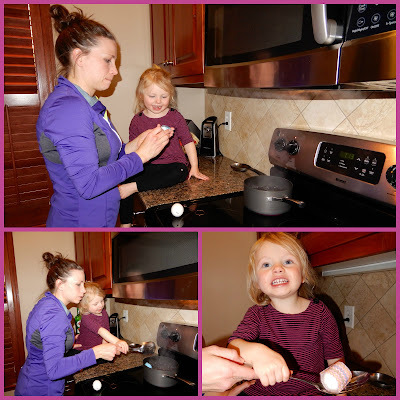 Jill did that, too, though she's not a saver and the eggs will likely not last past the holiday. Brooke's reactions of joy are just as big as her reactions of terror! 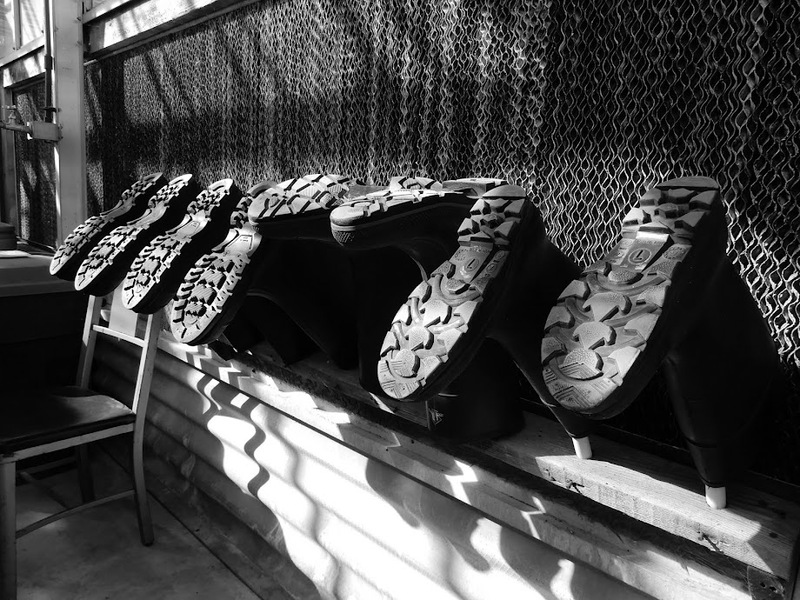 A spring day is also good for a trip to the playground. You have to work on your muscle strength to get ready for those grueling egg hunts coming up later in the week! ... even when your sister is rocking the "boat." 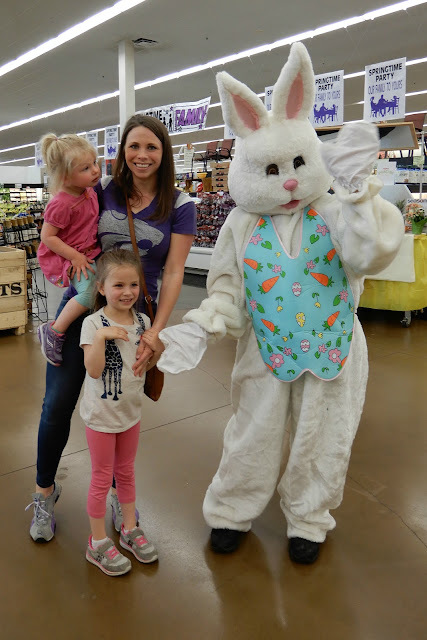 We were glad to get in on some pre-Easter fun! The girls definitely have a strong family resemblance. We have Santa in our shops pre Christmas but not the Easter Bunny. 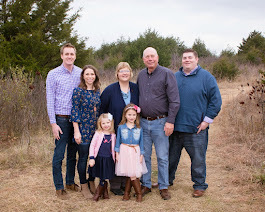 What a special time just spent with your family. Happy Easter. Last-Minute Easter Treats: Hop To It!